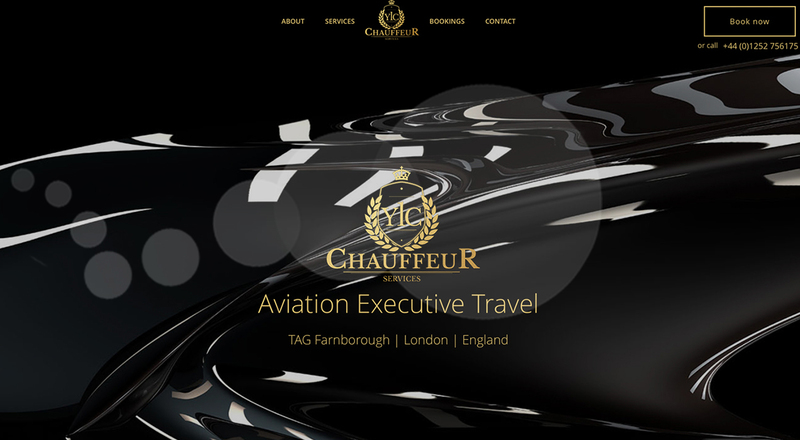 A client came to us recently wanting to create a new company – a luxury chauffeur service. The customer already had an established private hire business, Your Local Car, so our job at Springboard was to establish the chauffeur service as a subgroup of the existing parent company. The new company had to be distinct though; we couldn’t just add a page to the old website, as this wouldn’t send the right message. This wasn’t just to be a regular taxi service; it was to be a refined, luxurious, professional service for corporate executives and private individuals requiring first class travel within the local area, in and out of London, and across the UK. Once the client had chosen their favourite, we could get on with the important work of building the website. The site is built using a WordPress platform, which is Springboard’s preferred content management software for anything that’s not e-commerce. The main concerns when building the website included making sure it was responsive and user friendly. As this was a customer facing business, the ease of contact was a key concern. Therefore, YLC’s phone number, email and booking form are readily available on every page of the website. As well as designing an accessible website, it also needed to look the part. As this is a company selling a luxurious service, it needed an elegant site to go with it. The client chose the colours black and gold, and around this we have built a sleek looking website using some beautiful images. Springboard were also tasked with writing the content for the website. Our chief copywriter interviewed the CEO of YLC, Peter White, to make sure she had all the correct information and understood the branding concept. As well as including all the practicalities, the main point to get across was that this was a bespoke chauffeur service – YLC will tailor their services to suit you, the customer. And most importantly, SEO (search engine optimization) had to be considered throughout the content and its placing on the website. Finally, Springboard were asked to design and print the business cards for YLC. The cards needed to uphold the notion that YLC provides a refined and sophisticated service. How can a bit of card do this, you may ask? And why is it important? A business card is just a bit of card, right? Wrong. For a start, these cards could be given to someone just coming off a private jet – you wouldn’t want to give them a generic business card; you need to give them something that stands out. You want them to use your business, not someone else’s. That’s why we made the most premium business cards we have ever made. To start with, we used 350gsm Silk paper stock, duplexed and interleaved with white paper. This gave the cards an extra thick, heavyweight feel that immediately stands out against the average business card. We then debossed and gold foiled the YLC logo on the front of the card. The gold foil gives a shine and reflection similar to the precious metal, rather than a flat printed colour. On the reverse, we used a clear foil to display the logo; this made the logo appear and disappear as you move it in and out of the light. The details on the reverse were written in a smart white font to really stand out against the black background. We finished the cards by painting the edges in black with a Matt varnish, then finished the cards with a soft touch Matt laminate. Definitely not your average business cards. Overall, the client was extremely pleased with the work Springboard did for them. We have helped build a brand by producing premium products for a premium business. YLC Chauffeur Services has really taken off – the fleet of cars and the number of chauffeurs is growing – and Springboard is proud to have been a part of it. You can view their handsome website here http://www.ylcservices.co.uk.